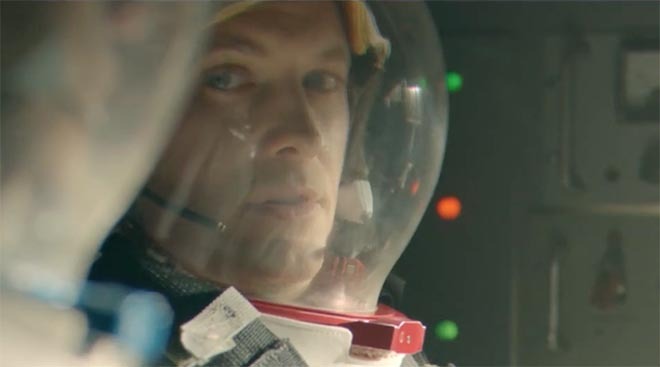 Audi is running “Commander”, a Super Bowl commercial connecting the Audi R8 V10 plus car with space exploration and David Bowie’s 1972 hit “Starman”. Surrounded by memories of the Space Age’s golden years, a retired astronaut has lost his zeal for life. But when his son shows up and hands over the keys to the new 205-mph Audi R8 V10 plus, a rocket ride under the stars stirs newfound life within the Commander. “Audi Commander” is designed to be a universal reminder that amazing things happen when we choose exploration, technology and the moon. “We are now approaching lunar sunrise”, a quote from Bill Anders on Apollo 8. “This has to be the proudest day of our lives” – a quote from Richard Nixon’s conversation with Apollo 11 astronauts Buzz Aldrin and Neil Armstrong. The 2017 R8 is being promoted as the fastest and most powerful Audi of all time. In its second generation, the all-new Audi R8 V10 plus has a top speed of 205 mph with a 3.2-second 0-60 mph time for rocket-like performance. The Audi R8 and R8 LMS racecar were co-developed and share approximately 50 percent of the same parts, including the V10 engine which is identical in both cars. The speed and precision of the all-new R8 was proven on the track this month, when the R8 LMS took home the checkered flag its category in the Daytona 24 Race Classic. The new R8 features the latest Audi technology including Audi Virtual Cockpit, which replaces the classic instrument panel; Audi connect® with 4G LTE connectivity; and available Google Earth™ satellite maps. The new Audi R8 goes on sale Spring 2016. The Audi Commander campaign was developed at Venables Bell & Partners by executive creative director Will McGinness, senior art director Rich North, copywriters Rus Chao and Paul Venables, director of integrated production Craig Allen, agency executive producer Mandi Holdorf, head of account management David Corns, account director Chris Bergen, account supervisors Ally Humpherys and Alexis Lovett, account managers Oliver Glenn and Faire Davidson, assistant account manager Bri Jones, project manager Talya Fisher. Filming was shot by director Craig Gillespie via MJZ with director of photography Masanobu Takayanagi, executive producer Emma Wilcockson and producer Martha Davis. Editor was Rick Russell at Final Cut. Colonist was Stefan Sonnenfeld at Company 3. Visual effects were produced at The Mill by VFX producer Ben Sposato, VFX supervisor Gareth Parr. Sound design was designed at 740 Sound Design by lead sound designers Chris Pinkston and Rob Marshall, executive producer Scott Ganary, and producer Jeff Martin. Final mix was produced at Formosa Group by mix engineer John Bolen. Music “Starman” by David Bowie, was licensed through Agoraphone by music supervisor Dawn Sutter Madell.